Bee trained as a Natural Voice Practitioner with Frankie Armstrong and runs several choirs on Dartmoor. She teaches songs that vary in style from gospel and African to pop song arrangements and her own material. Her teaching style is warm, friendly and enthusiastic. There's always time to laugh and chat in the sessions. 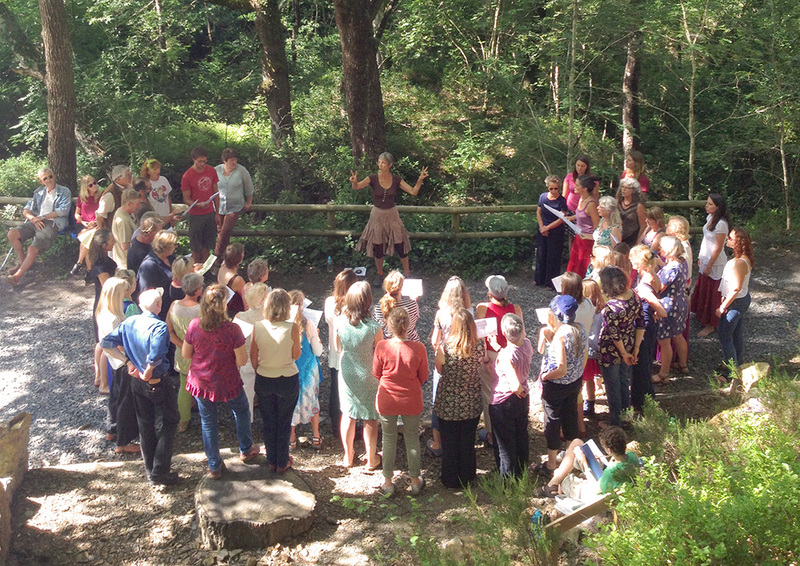 A growing community of singers in and around Dartmoor. Find the nearest choir to you, or join the Facebook page. Weekly groups are in Moretonhampstead and Chagford, and are open to everyone. Whether you're experienced or not, come along and give it a try!